Slow Motion: Beautiful Exotic Sandy Beach Is Left Empty On A Perfect Sunny Day. Description: SLOW MOTION: Beautiful exotic sandy beach is left empty on a perfect sunny day. Happy tourist speed around the tranquil sea in the distance. 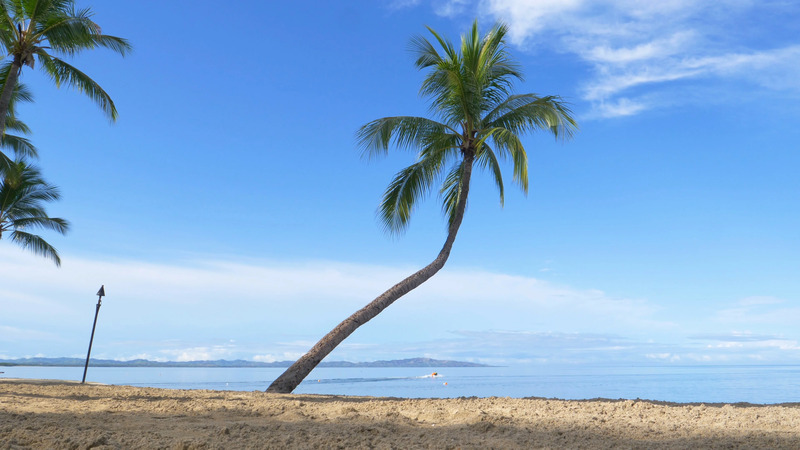 Picturesque shot of tropical beach and tall palm trees.